The returning Springboks work a treat at Loftus. Former All Blacks lock Brad Thorn could be quite intemperate on the field during his playing days, but the Reds coach was content to give the Bulls all the credit for their 32-17 victory over the Queenslanders at Loftus Versfeld at the weekend. “Credit to the Bulls, they handled things better than we did and we did not have the ball a lot of the time,” Thorn said after the game. For Bulls coach Pote Human it was a most satisfying result, especially since they gained the bonus point and went to the top of the South African Conference. “It’s an awesome win, especially after last week. I thought we had the game going into the last 10 minutes against the Jaguares last weekend. We still left a few points out there, but the way we played was very pleasing,” Human said. The Bulls scrum established their dominance early on, but they didn’t always seem to get their reward from referee Glen Jackson, who tended to share the penalties around. “It’s always difficult up front, they are often 50/50 calls, and we did give away a couple of unnecessary penalties. But we did really well overall in the scrums and someone like Wiehahn Herbst coming off the bench is a very good scrummager and he will get better when he adapts to the pace of Super Rugby,” Human said philosophically, as he could afford to because his team won. 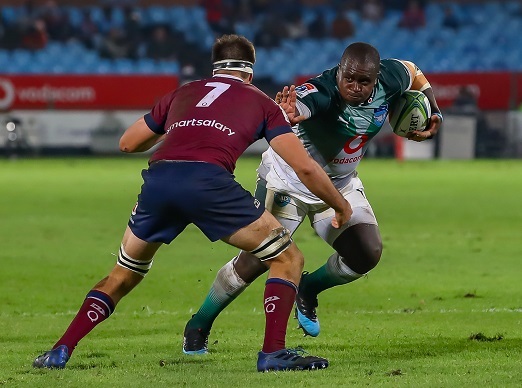 Lock RG Snyman also made an explosive return to action, firmly establishing himself in the Springboks’ plans for this World Cup year, with Jannes Kirsten proving he can form an effective second-row partnership with the giant 24-year-old as well. Loose forwards Paul Schoeman, Marco van Staden, Hanro Liebenberg and Roelof Smit off the bench showed that they can be an effective combination in Super Rugby. Among the backs, flyhalf Handre Pollard controlled the game well, centre Burger Odendaal provided a bulkhead and Johnny Kotze put in a busy day’s work on the wing. “Having Handre and Jesse Kriel back made a huge difference, RG and Paul were unbelievable and Roelof did very well coming off the bench, which was very pleasing. RG just showed his class and he’s as good as any lock in the country, I would certainly pick him for the Springbok team. Warrick Gelant is also an awesome player and he’s got a fantastic skill-set,” Human said.